Railway signaling is one of the most important elements to ensure the safety and quality of train services. 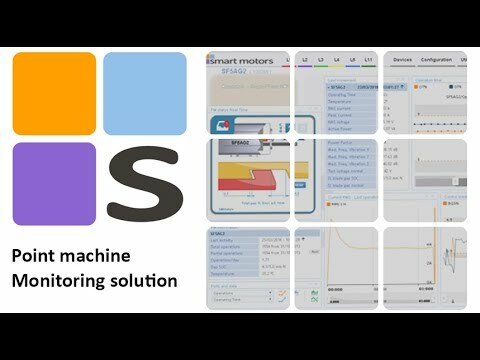 Smart Motors Signaling Solutions collect data from signaling elements, such as point machines monitoring, track circuits monitoring, and other on-field elements, with the aim of improving their availability. 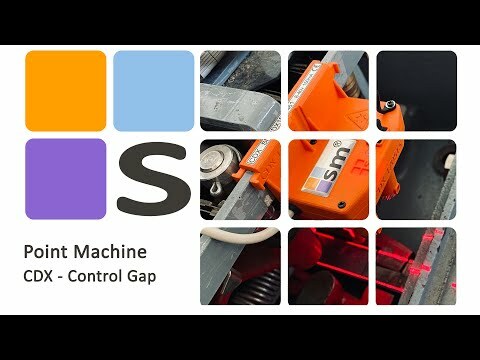 A differential aspect of Smart Motors is that it collects the essential data for evaluate asset performance. Assets normal behavior patterns are well known thanks to continuous monitoring, in different contexts (train passing, maneuvers in turnouts, train stopping, etc.). With this strong knowledge base, abnormal behaviours are quickly noticed.Simple to handle and intuitive, the web application for data visualization and analysis is shared among all signaling solutions. Point Machine monitoring system consists of different devices on-field recording electrical, mechanical and environmental information on real-time. This information is transferred to a central server which has information regarding normal function patterns and thresholds and evaluates the performance of point machine monitoring continuously. In this way, it points if the point machine monitoring is nearly or has beginning to break and identifies the origin of the breakdowns. The user can visualize information on real-time and also access to activity reports based on historical data; moreover it can learn the status of the incidents detected. Track system monitoring systems allows the operator to minimize affectations to rail services as it reduces the frequency of breakdowns, as well as reducing response time in case of faults. In addition, it reduces costs and resources invested in maintenance operations, since their use generates a database that allows planning preventive maintenance based on the stat of the circuits. This trend represents a change from traditional preventive maintenance which doesn’t taken into account the condition of the assets. On-field solutions encompass all those events or alarms arising in rolling stock or are detected thanks to it, which are documented by the train along its route. They include events on traction systems, communication nets, driving modes, energy supply and coach subsystems, among others. Data recorded allows the geolocalization of alarms and obtaining diary profiles of recurrence of an alarm in a specific location, which helps to identify upcoming breakdowns and improve the general condition of all the systems monitored. It is essential to guarantee the proper functioning of Level crossing monitoring to avoid dangerous situations and accidents. Face the wide variety of systems involved this requires to ensure the correct operation of all them: barriers, acoustic signals, traffic lights, auxiliary batteries, axle counter, etc. Thanks to digitalisation operators can access on real time to the status variables and the sequence of events. In addition, monitoring of level crossing allows remotely checking the system and therefore reacting quickly if a breakdown occurs or if it is potentially going to happen.